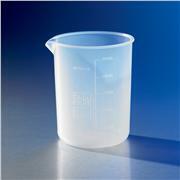 These beakers are transluscent with a raised graduation scale. 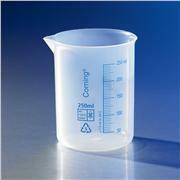 They feature high temperature and chemical resistance. 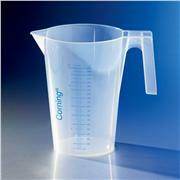 Corning 1010 Handle attached by an adjustable, stainless steel strap which fits securely into a shallow groove molded in upper part of beaker Beaker (1530K40) fitted with molded glass handle which facilitates pouring. 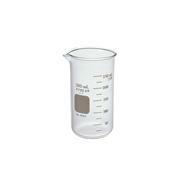 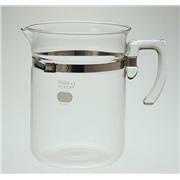 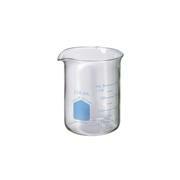 Replacement beaker (1530K50) supplied without handle or strap.